Have You Handled a Texas Almanac Lately? I picked one up for the first time at the Texas History Museum yesterday afternoon and have barely put it down since. I had it (wrongly) in my mind that Almanacs are things for farmers, things of the past, something antiquated. No one handed me a copy when I drove in from out of state, and it’s not like it was in my basket from the neighborhood welcoming committee (all they wanted, actually, was the voluntary $40 owners’ association dues) when I bought my house. We went to the Texas History Museum on Congress and MLK in downtown Austin specifically to look at books about Texas history. I expected to find a few, but found a ton, most of which were either tomes about war heroes, famous battles or politicians. I have Lone Star: a History of Texas and the Texans on order from Amazon, 792 pages worth, to be delivered on Monday, so was looking for a little pre-meal snack, a little book maybe about the history of Austin, or of a historic neighborhood, something maybe with a lot of pictures. Instead, we went home with 2 fold-out laminated wildflower and tree reference guides, the Austin Insiders’ Guide and the 2010 to 2011 Texas Almanac. 689 pages, jam-packed with Texas facts. 1/2 to 1 pages on each county, including a small full-color map with major roads, cities, towns, lakes and other stuff marked, AND a little color map of Texas that shows where the county is located. The county pages have little blurbs about the local economy, population, recreation, minerals, education and agriculture. 2-page fold-out map of Texas Lakes, with the flip side mapping Texas State Parks, Sites and Piers. Another 2-page fold out with mileage distances between cities, and a flip-side larger map of the state with all sorts of goodies marked: roads, county lines, bodies of water, parks, etc. The beginning of the Texas Almanac has a brief sketch of the History of Texas, followed by all sort of full-color maps that show different ways Texas is divided or classified: cultural regions, Texas Parks & Wildlife’s Travel Regions, State Comptroller’s Economic Regions, etc. Another section summarizes the Geology of Texas, Earthquakes, Soils and Texas Weather. As you near the end, hundreds of pages of interesting bit of data, even more Texas facts, photos, statistics and so on, you even get Texas maps of wet/dry (alcohol) counties, and profiles of correctional institutions as a reminder of why crime does NOT pay, even less so in Texas. Do You Need a Texas Almanac? If you’re a Texas, yes, you need a Texas Almanac. It’s worth $19.95 to find out what you didn’t learn in school, or never knew you might want to know. If you’re a Texas Real Estate Professional, you need one even more so: having a deep and complex knowledge and appreciation of what this state has to offer will serve you well, and help solidify your professional knowledge base. If you’re not a Texan and don’t live in Texas, your own state probably has something just as powerful that is worth getting your hands on. Visit the Bob Bullock Texas State History Museum and get a eyeful of what makes Texas a great state. 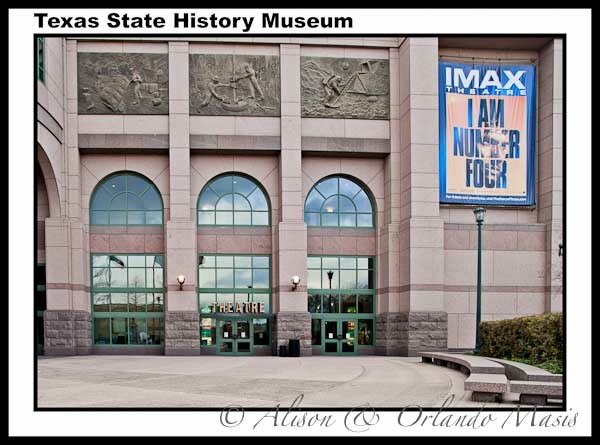 The IMAX theater has daily showings of two films about Texas as well as regular new releases of popular films. The Museum Store has hundreds of books on Texas, including detailed memoirs and image-packed coffee table books of everything Texas, broken down into very granular categories so that each book showcases an extraordinary part of Texas life and culture. I had a hard time putting down the one on Vaqueros, full of images of gritty cowboys and their horses, a lifestyle steeped in history, tradition and dust. Take an afternoon and visit, and on your way out, grab a copy of the Texas Almanac, you’ll be glad you did. Great info! As I am a camera shop owner, hobby photographer, history buff and also a genealogy nut, I have really appreciated your posts. Almost all of my family have been born and raised in the South. Most in Alabama,Georgia and Florida. I only have a few distant relatives from over a hundred years ago that spent time in Tennessee and so my historical knowledge of my current home state is limited. I moved to Tennessee as an adult and so I think a Tennessee Almanac is a good place to start with discovering more about my new state.